If you think the odds of winning the lottery are low, what do you think the chances are of making it onto the Fairfax County Park Authority’s artiFACTS web page? The Park Authority holds millions of items in its archaeological and museum collections, and just one item is chosen each month to get the star treatment with a featured post in artiFACTS. With more than 5,000 museum objects (chairs, quilts, baskets, machines, clothing), thousands of archival items (photographs, maps, letters and other documents), and upwards of three million artifacts (archaeological discoveries such as spear points and pottery), how do staff members decide what to feature? Archaeology and Museum Collections get equal treatment. Each division takes turns selecting an item and providing photographs and historical background for the monthly artiFACTS posting. Heritage Resource Specialist Chris Sperling says that in the archaeology department, the task is assigned to the team. When the weather is bad and field work is impossible, staff members may work on posts for the County Archaeological Research Team blog, C.A.R.T. Archaeology, and on submissions for artiFACTS based on their individual interests. Sperling provides a final edit before the article is sent to the Public Information Office for posting. He says this approach provides “a good way to keep the team engaged with the larger process of public involvement.” Sometimes, Sperling just finds something that strikes him and thinks it might be of interest to others, too. For example, he recently wrote about a newspaper article on the suffragette movement that likely was being used as part of the insulation in a home. He did another piece on some metal pieces that are keeping archaeologists guessing about their purpose. In Collections, the process can be complicated by factors such as whether an item belongs to the Park Authority or is on loan from another agency, how hard the item may be to photograph, and how much information is available on the item. Heritage Resource Specialist Megan Leining says her department likes to highlight objects from the permanent collection that are rarely on exhibit. “For example, Sully Historic Site is interpreted to the period when the Lee family lived there, but we have objects associated with the residencies of other families, such as the Haight and Shear families.” Collections likes to rotate the sites and locations associated with the items, too. It also has featured objects from park sites that are open to the public on a limited basis, such as Dranesville Tavern and the Lahey Lost Valley property. Finally, Collections may try to connect the object to the month or season or time of year when it is going to be featured. A Christmas Day wedding gift was featured in a December post. A Lincoln chromolithograph was featured one February in honor of Lincoln’s birthday and Presidents Day. Collections also has used artiFACTS to stir interest in items appearing in temporary exhibits, such as a top hat that was exhibited at Sully Historic Site. The black silk head-topper may have been worn to President Lincoln’s first inauguration in 1861.
artiFACTS has featured items as small as straight pins, thimbles and hand-wrought nails and objects as large as a fire screen, grandfather’s clock and church pew. These artifacts all help to tell the history of Fairfax County through the centuries. This entry was posted in Uncategorized on March 11, 2019 by Fairfax County Park Authority. A 173-year-old letter is teaching people about slavery and bringing neighbors together. The story blends local history, Historic Huntley, The Friends of Historic Huntley, George Mason’s Gunston Hall and George Washington’s Mount Vernon. In January 2018, The Friends of Historic Huntley (FOHH) purchased a letter written in 1845 by Betsey Mason, Thomson F. Mason’s widow and former owner of, what is now, Historic Huntley in Alexandria, Virginia. The Curator of Collections at Gunston Hall, Samantha Dorsey, had emailed FOHH President Todi Carnes to tell her that a Betsey Mason letter was to be sold at auction in two days. Three hours later, Carnes emailed the FOHH board with a link to the letter asking if the Friends should attempt to acquire it. The suggested starting value was $600. By the end of the day, a majority consensus was established, and there was no question that FOHH should preserve this important piece of Huntley history. Several Huntley representatives immediately went to the auction house, The Potomack Company in Old Town, to verify the letter’s condition. They found it in perfect condition on high quality paper complete with remnants of black sealing wax (indicating mourning). The auction was the following day. I was among three Huntley representatives, none of whom had been to an auction, who watched, listened and learned for three hours. When the letter’s lot number was up, the auctioneer reported that off-site bidding was up to $1,200. Did he hear $1,300 from the floor? I was so surprised by the amount that I failed to put up the paddle. I had to be nudged into action, and that is how the Friends of Historic Huntley became the owners of this significant and coveted letter. Why so eager to preserve this letter? The subject matter is slavery, which is of vital importance to telling the story of the people of Historic Huntley. The letter is addressed to Fairfax County Magistrate John Augustine Washington III, great-grandnephew of George Washington and the last private owner of Mount Vernon. I am just informed that my negroes are to be tried before you for certain offences, which they are supposed to have committed against the law during the recent Christmas holidays. I am glad at least that they will receive their trial before a man of honor & sensibility to the rights of & feelings of the slave as well as the slaveholder & feeling that confidence in you, yield to this painful necessity, urged upon me however at a time by those who might under the circumstances of my family, have had a gentler feeling for me…. The letter’s purpose appears to be to influence the magistrate with flattery and to appeal for sympathy. Fairfax County Park Authority Historian Cheryl Repetti reached out to the Mount Vernon Estate while she was researching the letter’s contents, and a fortunate piecing together of historic documents resulted. Mount Vernon Special Collections Librarian Katherine Hoarn found a record of sentencing in John A. Washington’s journal. The accused are listed by name — Davy, Daniel Humphreys, Harry Ellis, Little Daniel and Sandy – and were charged with trespassing (probably to see family during the holidays). The outcome of the trial is a difficult reminder of the reality of slavery. Davy and Harry Ellis endured 15 lashes and Little Daniel 25. The letter went on display for a year, beginning in September 2018, at Mount Vernon’s Lives Bound Together exhibit, continuing the shared benefits of neighbors collaborating. The letter will be returned to the Friends of Historic Huntley after the exhibit. Photos of the letter are used courtesy of Friends of Historic Huntley. See the exhibit and enjoy tours of both historic properties on the “Mount Vernon & Huntley, Lives Bound Together Tour” on Thursday, February 28, 2019. Historic Huntley is open for tours on Saturdays, April-October, at 10:30 a.m., noon, and 1:30 p.m. Author Carolyn Gamble is a former Huntley staff member, long-time Huntley volunteer, and Friends of Historic Huntley board member. 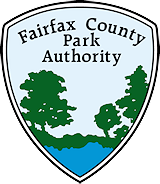 This entry was posted in Uncategorized on February 1, 2019 by Fairfax County Park Authority. Hell Strip designed by EMG Karen Aftergut. I garden in a small space. I live in a townhouse and use planters and vertical plantings to get the most variety in my garden. In fall 2014, I enrolled in the Green Spring Gardens Extension Master Gardener (EMG) program. I quickly realized I knew nothing about gardening. The classes were fabulous. The lecturers were experts in the horticulture arena. The topics were in-depth, and most were new to me. I grew pretty flowers and tasty tomatoes, but it stopped there. I was eager to learn. I finished the program and became a certified EMG. EMGs work with the public to encourage and promote environmentally sound horticulture practices through sustainable landscape management. There was no larger personal gardening space in my personal future, so I volunteered to chair the landscaping committee of my townhouse community, share my new knowledge, and have more soil for playing. The development of 16 townhouses sits on the busy corner of Route 123 and Great Falls Street in McLean, Virginia. It has a welcoming front with garden space that is filled with shrubs the builder planted more than 30 years ago. There are assorted hollies, azaleas, rhododendrons, junipers and skip laurels. I began to garden in the small plot of soil at the entrance to the townhouses. This plot borders a sidewalk, a bus stop, a small strip of soil, grass and a busy street. The soil and grass strip adjacent to a street and sidewalk is called a “hell strip.” You might know it as a parking strip or median strip. Horticulturist Lauren Springer Ogden coined its “hell” name. My initial plan was to develop the hell strip as I planted the community entrance with Virginia natives. I started with a soil test. The Virginia Cooperative Extension (VCE) supplies soil test kits free at Fairfax County libraries and farmers’ markets or by calling VCE. You also can pick one up at Green Spring Gardens. I started cleaning the hell strip of dog poop and weeds. I knew it would be hard to grow any kind of plants on the strip because of the challenging conditions — it lacked water, and it had foot traffic, a large amount of car exhaust, salt from snowmelt and lots of dog poop. The soil test results came back quickly, and I began amending the soil. As I gardened by the road, it was not unusual for people in cars stopped at the traffic light to roll down the window and chat. I was asked what I was doing. Was I for hire to put down mulch? Where did I buy my plants, and where was the nearest Starbucks? My most memorable question was from a young couple looking desperate with a van full of kids under age five. They handed me a very dirty diaper and asked if I would throw it away. I sometimes used a Hori-Hori, my favorite garden tool. It’s a heavy, serrated, multi-purpose steel blade. The word “hori” means “to dig” in Japanese. Once while working with the Hori-Hori, a black town car pulled to the curb and a well-dressed Asian gentleman got out and asked if I knew about the tool I was using. He was a big Hori-Hori fan, and we had a delightful conversation about gardening until his driver had to move the car. My least favorite experience came from feisty teenage boys. I was bending over when they stopped at the light and yelled “not a pretty sight.” I did laugh at their arrogance and my old body. I began to plan the hell strip and learned it was public property regulated by the Virginia Department of Transportation (VDOT). The Code of Virginia is specific about what you can and cannot do, and there is no room for exceptions. The first thing needed, before any work, was a Land Use Permit from VDOT. The rules are built around the need for low maintenance, small roots that won’t damage the sidewalk, size restrictions to comply with the Americans with Disabilities Act so plants don’t obstruct the sidewalk, and many other considerations. Fairfax Master Gardener Mary Elyn Perkowski wrote an excellent article, “Make Your Hell Strip Less Fiendish,” that outlines VDOT rules and regulations. They also are listed on VDOT’s website for NOVA Permits. There are a variety of tedious forms required with every Land Use Permit Application, including but not limited to a Homeowner Maintenance Agreement for Landscaping, Erosion and a Sediment Control Contractor Certification. It’s a challenging process, but there are many hell strips that have taken on a heavenly look. Front of author’s townhouse development. I haven’t filled out any of the applications yet to plant the hell strip. I’m thinking that, for now, I’ll maintain it looking neat and tidy, and dazzle the traffic with the Virginia natives I plant in the community plot. Author Gioia Caiola Forman is a Green Spring Gardens Extension Master Gardener and a Friends of Green Spring Board Member. This entry was posted in Uncategorized on January 18, 2019 by Fairfax County Park Authority.